Serving Irmo, Chapin, Lexington and surrounding areas. Welcome to Premier Home Inspections, a full service home inspection company. We provide pre-purchase home inspections and related inspection services. All home inspections are performed by an ASHI Certified Home Inspector. As an ASHI Certified Home Inspector, I can provide a standard home inspection, as well as several additional inspection services such as irrigation system test and radon testing. A complete list and description of our home inspection process can be found on our service page. 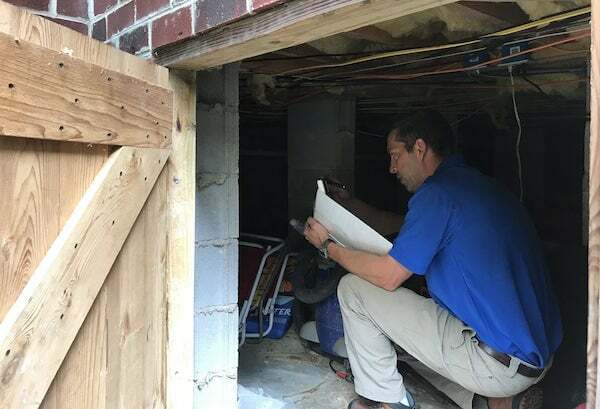 If you wish to schedule or discuss my services as a home inspector, please call 803-622-6301 or fill out my contact form. I hope to be your South Carolina home inspection company of choice. When you're making an investment as important as a new home, you want a home inspector you can trust. Read our testimonials to see what our customers think about our home inspection process. Josh Eleazer is a true professional. He is a thorough inspector that cares about my client's needs. He is a pleasure to work with and I refer him all of my clients because I know that they will be in good hands. Put my name on it! Thank you Josh for the great inspection you did for me during my recent home buying journey. Your professionalism and knowledge was very instrumental in my choosing the perfect home. Josh is a fantastic inspector. He is easy to work with, is very personable, and extremely thorough. Josh is also great at explaining the issues to the client and what it means for their home. Every client I've had has really appreciated how he works and talks with them, going over any questions they might have, ensuring they understand why the items are listed. Josh Eleazer with Premier Home Inspections was a very thorough and nice inspector. He inspected 2 homes for us and probably saved us from making a big mistake on the first home due to structural issues. He was always on time if not early and helped us find our dream home. I would highly recommend him and Premier Home Inspections.